During WW II the citizens of the U.S.A. were swept up in perhaps this country’s greatest outpouring of patriotism ever. After the attack on Pearl Harbor, there was a rush to action. Men, husbands, fathers, brothers and son all poured into the armed services. Women showed their support in any way possible. Nurses were needed and gave both medical and emotional support to our wounded men. Women filled needed factory jobs for the war effort. Then there were also women serving in the USO and as WACS. Sweetheart jewelry with "Victory" cent. Of greater interest to coin collectors is the jewelry of this period that incorporates coins. Many of these were made “in the field,” during soldiers down time. There may have even been outposts or area shops selling them. 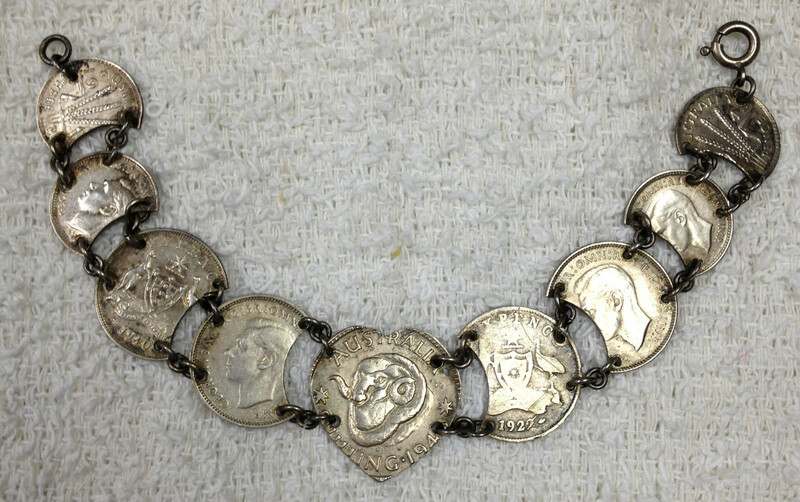 The greatest concentration of the WW II coin jewelry is made with Australian coins. Of the ones that are engraved with locations, New Guinea is the most common. 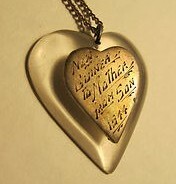 The engravings were also engraved to “mother,” “wife,” or “sister”, suggesting that many may have been made ahead of time….more generic engravings. However, there are examples of personalization too. 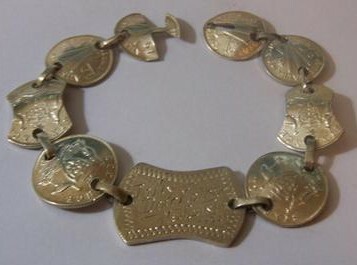 The coin bracelet seems to have been the most popular type of this style jewelry. This handmade jewelry falls into several headings. Trench Art, associated with reclaimed and re-purposed war items made during WW I, is also a broad term for similar items made during WW II. Love token collectors may simply refer to these as late date love tokens. 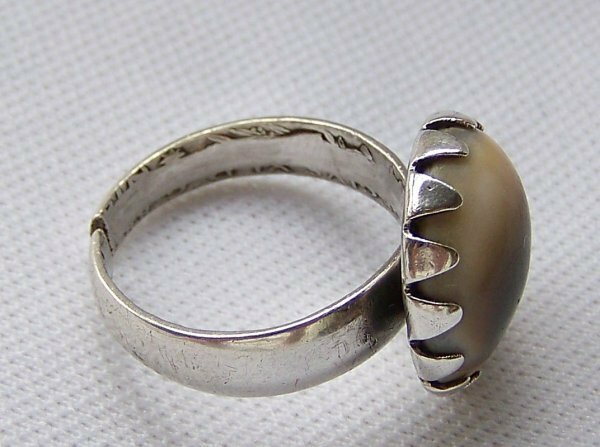 And a new term arose specifically for items made during WW II in the Pacific theatre area and was called “Pacific War Art.” They may also be referred to as “Sweetheart” jewelry. This is a real crossover collectible serving collectors from many fields. 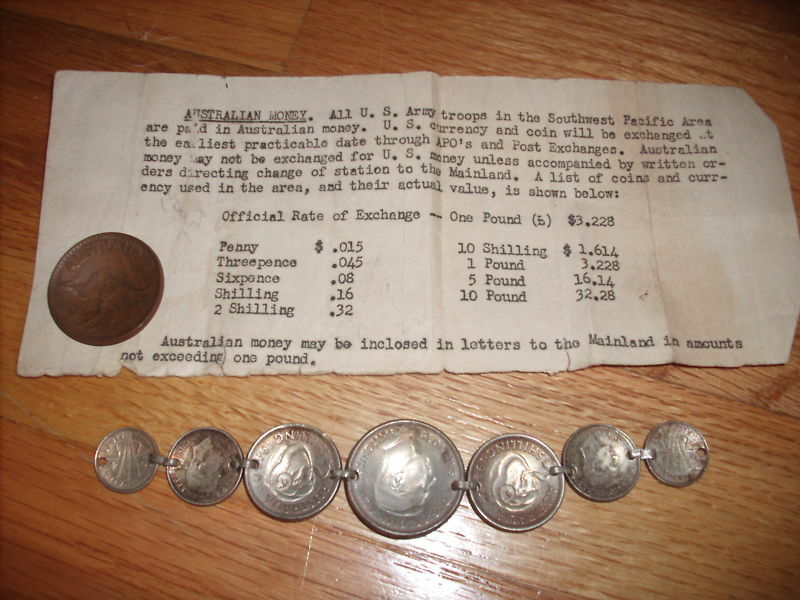 Typed piece of paper showing troops to be paid in Australian currency. 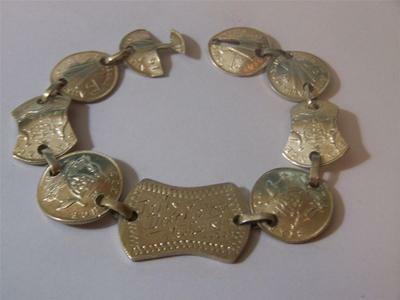 Many coin bracelets were made as souvenirs during WW II. As large and spread out a war as it was, the coins can represent a great many countries. Australia, Azores, Egypt, England, Fiji, Germany, Iceland, India, Netherlands, Netherlands East Indies, Panama, New Guinea, Philippines, Soviet Union, and the United States can all be found. Those coins with engraving are less seldom found. Engraved Australian coins are the most prolific. Coins were readily available and with many being made from precious metal, lent themselves to becoming jewelry. Soldiers stationed in Australia were paid with Australian money and there were a large number of American soldiers stationed in Australia. This was a training area and from there they then went to combat. How thoughtful it was for a soldier to send home a piece of this jewelry before going into combat. These sentimental items survived while many of these men did not. 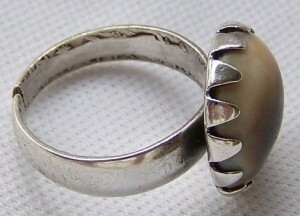 Operculum shell mounted on a coin ring. There were other found objects incorporated into jewelry too. Area shells were popular along with aluminum and Lucite from downed aircrafts. Some found Lucite was used with coins while other Lucite is speculated to have been formed just for the jewelry. A heart was the most common shape with a cut down coin heart embedded in it. Often they were engraved to mother, sister or wife and had N.G. engraved which stood for New Guinea. A palm tree sometimes complimented the design. Cat’s Eye or Operculum shell was a favorite. Some of these were mounted on coins but generally were not combined with engraving. 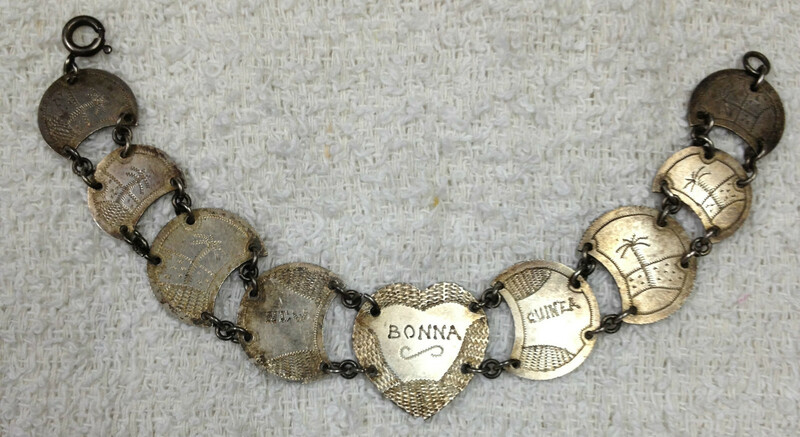 Hearts were a common theme in the bracelets as well. Coins were both cut down into heart shapes or engraved with them. It was quite common to redesign the circular shape inherent of the coin. Some bracelets had rectangular dog tag shapes, while others were cut into squares, some with softened notched corners. Circles were also cut into crescent shapes that meshed together. There are even a few with the map of Australia cut out on the central placard. Collecting the different shapes can keep a collector busy, but then there are even more novelties to look at. The joiners can be made from plain jump rings or made from coins. Be aware of any text hiding on the jump ring signaling that it was a coin. Some fancy ones incorporate a shield shape from the crest of an Australian coin. Catches are even more interesting and range from a simple commercial spring ring catch to a myriad of designs made out of coins. The combinations of design seem endless. By definition WW II engraved coins are love tokens but they are also a category of collecting on their own. The variety and scope is enough to keep a collector busy just collecting them. The sentiment behind them is akin to Victorian love tokens even though they are some fifty years later and made after love tokens were believed to have ceased.